Regular readers will know that Aromatherapy Associates is one of my favourite brands and I particularly love their incredible Bath & Shower Oils. 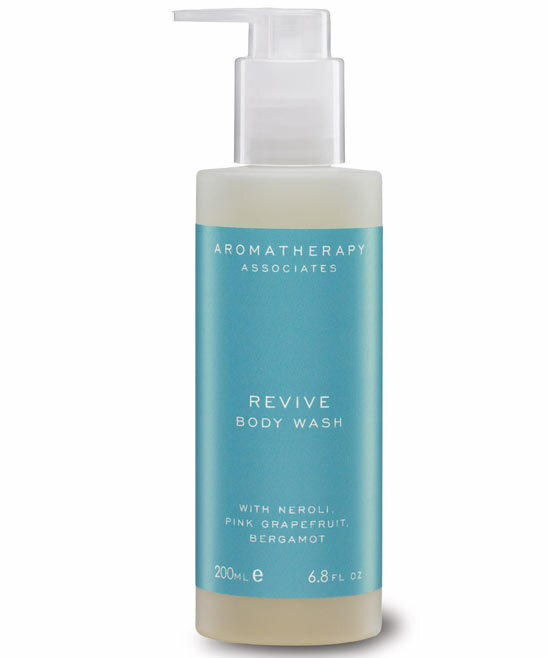 However, sometimes you simply require the convenience of a shower gel formula and I've recently been trialling Aromatherapy Associates Revive Body Wash. The plastic packaging isn't offensive and it's certainly practical with its pump dispenser but it doesn't feel particularly luxurious, which I would expect for the price. The blend of neroli, pink grapefruit and bergamot adds a delicate, sweet citrus scent which is uplifting for use in the mornings. As it's SLS free, it doesn't produce a rich lather but you could boost this by using the body wash with a shower puff. I'm really impressed with how long this has lasted. I've been using it everyday for 3 months and I'm only just getting to the end of the bottle. I applied it with my hands but if you used the aforementioned shower puff, I'd imagine you could make the product go even further. I love how fresh and clean this leaves my skin feeling after use, without any dryness or irritation. Yes, it's expensive at £23 for 200ml but sometimes I feel as though it's worth spending that little bit extra to add indulgence to my beauty routine such as injecting some luxury into my otherwise mundane morning shower. Final edit: During the course of my research for this blog post, I noticed that the Aromatherapy Associates site is offering a free bottle of Body Wash when you buy one of their bestselling Bath & Shower Oils along with any other product, excluding lip balm, during April. It's a great opportunity if you're looking to try this out.